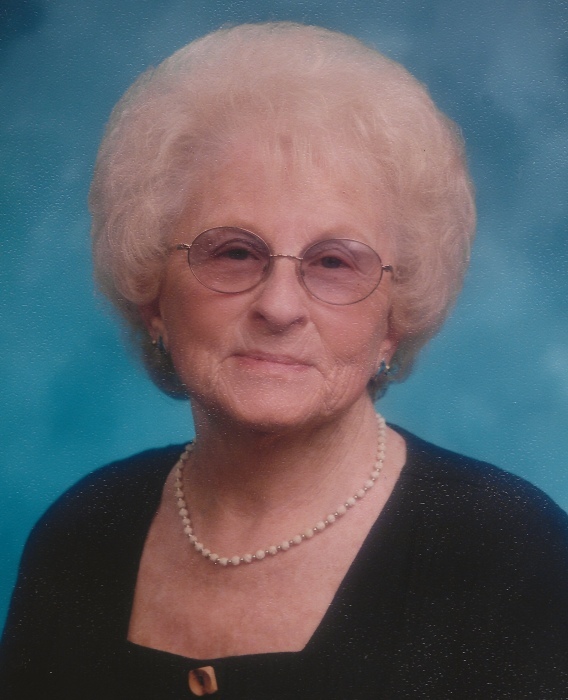 Obituary for Virginia (Briggs) Landman | Wellman Funeral Homes, Inc.
Virginia Elizabeth (Briggs) Landman was born in Muskingum County, Ohio, on June 29, 1918, daughter of the late Forest and Pearl (Martin) Briggs. Raised on the farm near Gilbert Station, then moving as a teenager to New Holland, Virginia was hard-working, fun-loving and resilient. Married in 1934 to J. Everett Landman, she was the loving mother of Jim (Carolyn) Landman of New Holland and Kaye Blanton (Jim) of Circleville. Virginia passed away peacefully in her 100th year on January 31st, 2019, at Logan Elm Health Care in Circleville, with her daughter by her side. Predeceased by her husband and brothers, John and Stan, Virginia is survived by her sister, Marilyn Seymour, her children Jim and Kaye, grandchildren Christina Landman Waugh (Tim), Tim Landman, Melanie Free, Rusty Landman, Lisa Free Reis (Steve), Lori Landman Rubel (Mike), Chuck Free (Jennifer), and Kelly Free Crabtree (John), 16 great grandchildren, 15 great great grandchildren, and her beloved Zanesville family. Virginia was a GE employee for over thirty years in Circleville, Cincinnati and Miami, FL before retiring to Florida then Breezy Acres in New Holland where she lived until well into her 80’s next door to her son. After she moved to Circleville with Kaye and her son-in-law, Jim, she enjoyed many more years of games and adventures with friends and family. Virginia wrote this about her wishes: “I believed in the hereafter and lived by the Golden Rule. At my funeral, play ‘Amazing Grace’ and ‘Peace In The Valley” by Elvis....then Party! HA!” She truly was a role model for living life to the fullest and will be dearly missed by all who knew her. A celebration of life will be held Wednesday, February 6th, 2019 at 2:00 p.m. at the Wellman Funeral Home 1455 N. Court Street in Circleville. Friends may call at the funeral home on Wednesday from 1:00 p.m. until the time of service at 2 p.m. Burial will follow in New Holland Cemetery. Online condolences can be made to www.wellmanfuneralhomes.com.